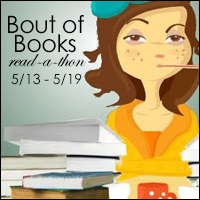 Bout of Books: Bout of Books 18 Sign-Up! Bout of Books 18 Sign-Up! 3. On January 2nd, READ! Comments have been closed to reduce link placement confusion. If you need help, check our FAQ. If your question isn't answered, email us or tweet us @boutofbooks.